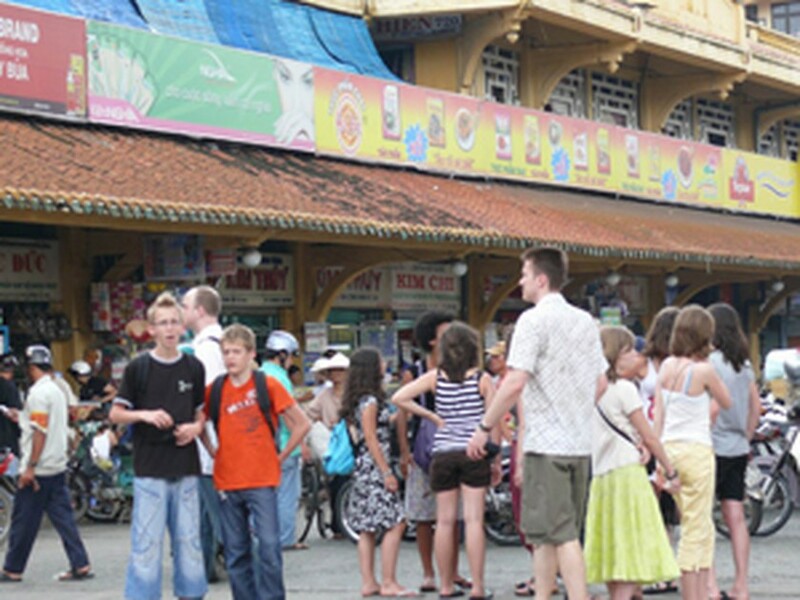 “The typical Asian-style architecture and traditional businesses make Cho Lon [Ho Chi Minh City’s own Chinatown] a non-stop hive of activity,” German visitor Christ said after going around one of the city's most distinctive areas. Cho Lon is, in fact, probably the largest Chinatown in the world outside the Middle Kingdom. It spreads over District 5 and parts of Districts 6, 8, and 11, and is a magnet to tourists because of its distinct characteristics and cultural heritage. The old streets form a fascinating maze filled with temples, restaurants, jade ornaments, and traditional medicine shops. Visitors can easily get lost here and so it makes sense to hire a cyclo by the hour to see the sights. Tran Hung Dao Street is the main artery of Cho Lon and the access road for visitors coming to town. Christ says: "No signboard is required for Cho Lon - you'll recognize it instantly when you approach along the grand prix circuit that is Tran Hung Dao Street. Every time I visit these areas, I like to walk on this street, especially at night." He adds it’s a friendly place to shop here because the ethnic Chinese shopkeepers are keen to safeguard their prestige that they try to make visitors feel safe and at ease. Binh Tay Market on Phan Van Khoe Street is even more crowded than Ben Thanh and has much the same goods, but with a Chinese flavor. Tour guides say foreigners like to visit this market which more than 70 years old. Medicines, spices, cooking utensils all jostle for space with hapless ducks and chickens that are tied together. Narrow, covered alleyways lead off the central artery, instantly transporting one from the harsh glare of daylight and the hullabaloo of the streets into another world. Roll upon roll of silks and assorted materials are stacked to the rafters in cramped wooden-fronted kiosks. The steady whir of sewing machines assaults the ear. Amongst this mild mayhem, impossibly tiny food outlets serve up neatly presented bowls of food on trays to vendors and customers alike. One can sit on ridiculously low plastic stools wolfing down dirt-cheap noodle soup and rice dishes. From Binh Tay, one should head up to Nguyen Trai to see some of the major temples -- like Quan Am, a classic Chinese temple with its ornate exteriors and wafting incense smoke, and with music meant to sooth, though the blaring speakers may not be everyone’s cup of tea. Nearly 20 resident monks and a cherubic abbot are on hand and welcome foreign visitors. They even take the time to show you around and allow you to take photos, but the quid pro quo is a small donation in the alms box at the altar. 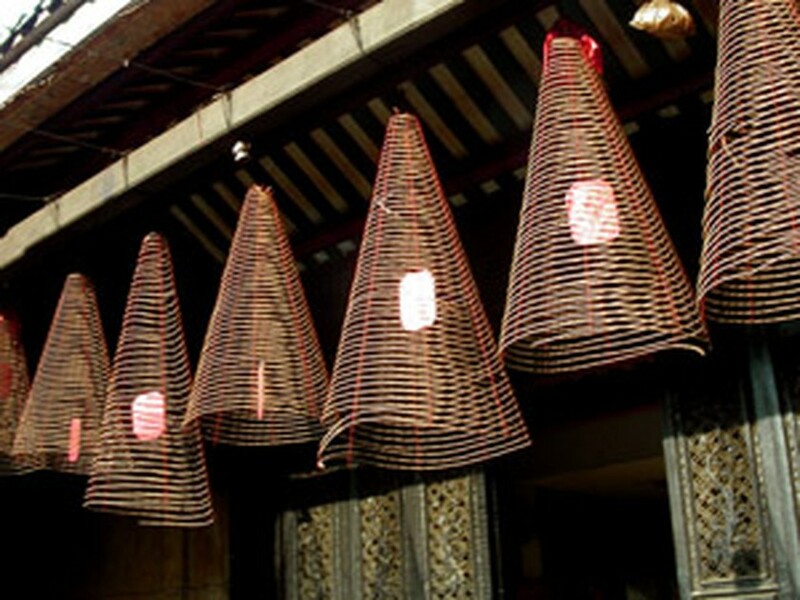 Buy one of the oversize incense -- the size of a large flashlight -- and make a wish for your journey. This is a "working temple" which means the place is busy day and night with visiting supplicants. 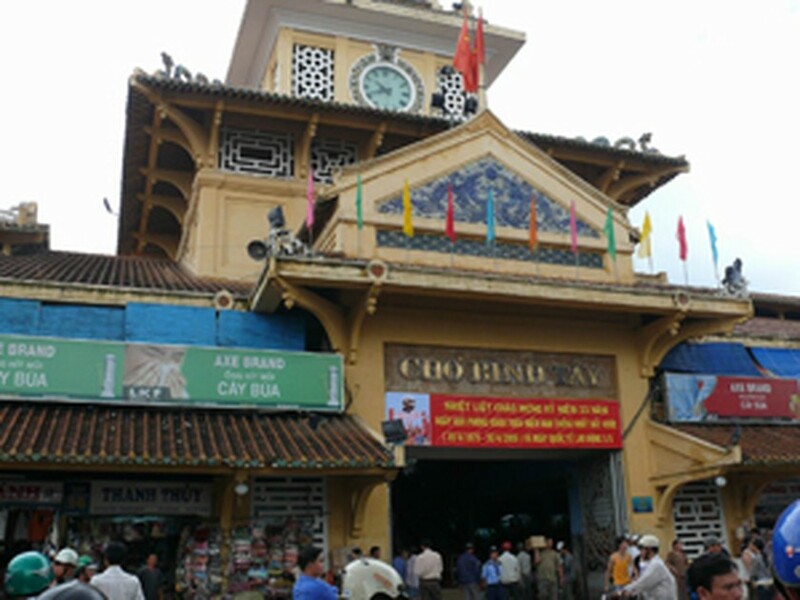 Another pagoda, Thien Hau, is dedicated to the goddess of the sea and was popular with seafarers wishing to offer their thanks for a safe trip from China to Viet Nam. Also on Nguyen Trai Street and as famous as T'ian Hou is the pagoda for Guan Kung, a Chinese figure well known for his loyalty and nobility. This is a favorite with businesspeople. Following Nguyen Trai Street past Ly Thuong Kiet, one will reach Cholon Mosque, the one indication of Chinatown’s small Muslim community. Since a traditional medicinal herbs street was nominated in District 5, the district has drawn more tourists. Hai Thuong Lan Ong Street -- named after a famous Vietnamese herbalist who practiced medicine 200 years ago – has strong odors of various herbs wafting from traditional pharmacies. 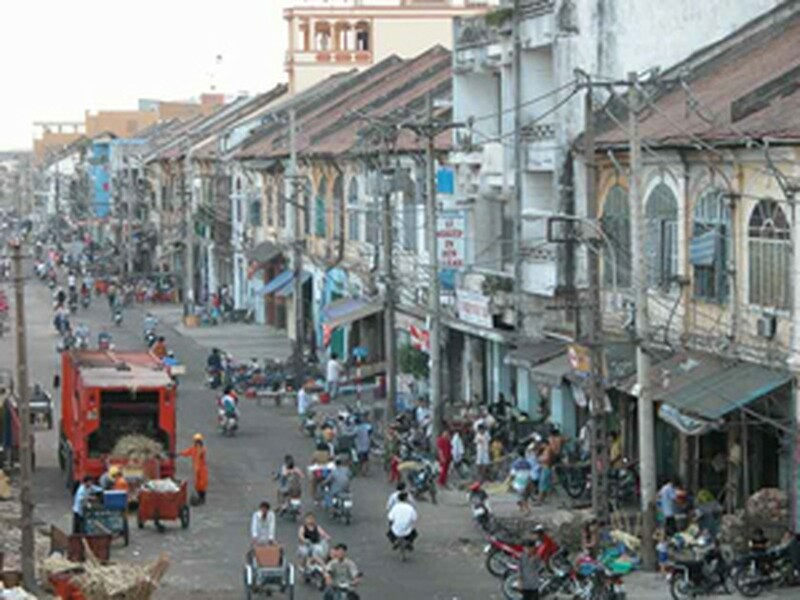 Streets like Tran Hung Dao, Trieu Quang Phuc, Chau Van Liem, and Luong Nhu Hoc still retain blocks of houses built by the ethnic Chinese people a century ago, combining Chinese and French architectural designs. The traditional housing design found in major Southeast Asian cities with large Chinese populations can be found in Cho Lon too. The shop-house is a unique urban architectural form that arose as a result of land speculation combined with urban restoration efforts. Originally built on a marsh with interlacing channels, Cho Lon has survived and then flourished thanks to waterway commerce, especially when rice became a major good.